Although I am not a big fan of loading up on supplements, but sometimes you need to make sure you are getting all of the necessary nutrients. Here’s a few staples that I would not pass up. 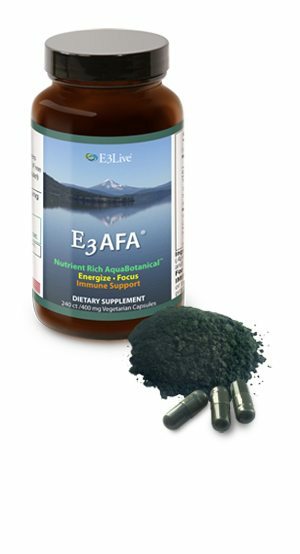 I have been using E3 AFA – for years now – when I do not take them for a while, I can feel the difference. From energy, muscle endurance, and overall mental clarity it is a quite remarkable product. Heath Warrior Pumpkin Seed Bars – Just honey, spices and one of the best plant-based sources of protein on the planet, pumpkin seeds, this bar has one of the simplest ingredient lists. Pumpkin seeds are an amazing source of plant based protein and iron. Its a great take-along snack fro when I’m going on a hike, run, ride or paddle. Macro Greens – by MacroLife Naturals was founded in 1998. Nutrition, Health and Fitness expert Sylvia Ortiz and leading Chiropractor Dr. Edward Wagner take pride in their product line, creating something for every household member from adults to children. Need a boost of energy or a quick snack on the run? The superfood bar does the trick and they have many other products using high-quality superfoods. This is one of the better tasting green drinks we’ve sampled. There’s something fruity about the taste and does a very good job of camouflaging the aftertaste of a healthy algae swamp…thanks spirulina!